It can happen in a moment; the blink of an eye. Before you can even react or think. You see it about to happen but there is nothing you can do. No matter how fast your mommy reflexes are, you can not prevent accidents from happening all the time. You see that jagged edge and the child just about to run into it. Your eye was just on them; how did they move so fast? Their hand was fast in yours, but somehow they wiggled out of your firm grasp. You thought the door was closed behind you, but someone else reopened it and now your toddler is running out the front door towards the street. The boys were wrestling, but as you warned them to stop someone got hurt. I have had so many heart palpitating moments right after witnessing my children hurt themselves or literally come close to losing their lives. I am sure there have been many times that they were close to death and I didn't even know it. I am sure that their angels are working overtime. I don't like experiencing those close calls but they do help me to not take anything for granted and to be more aware. Though none of us likes to face it, the truth is accidents are going to happen; our children are going to get hurt. We can't live in fear and worry the rest of our lives, but we can take precautions to protect our loved ones. If I gave in to fear, I would never let my kids go outside. I would never get in a car to go anywhere and I would never let my kids go near water or climb trees but what kind of a life would that be for me and my family? I often find myself going through scenarios in my head. You know, the ones when you imagine getting in a car accident with your children and have to decide which one to save. Picturing what would have happened if your totally oblivious toddler had run out in the street. I could go on and on. 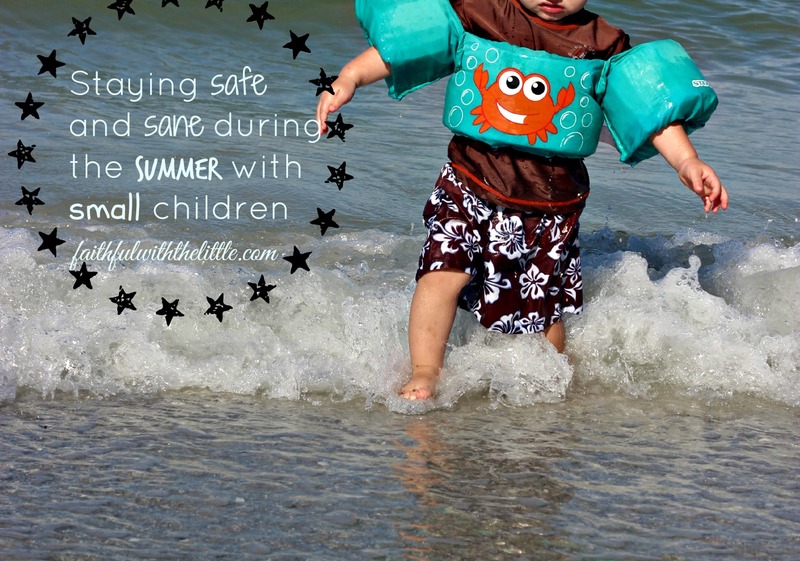 June is national safety month and though there is only one day more left in June I thought I would share how I try to keep my family safe while still staying sane. I am joining Cameron from the Mesothelioma Cancer Alliance in spreading awareness for His wife Heather, who is 9 year survivor of this disease. I lost my Dad to cancer so it's always encouraging to hear of those who have lived through cancer. I hope her story and these tips help you to take the steps necessary to keep your family safe this summer. Ultimately our lives and our loved ones are in God's hands. We have to trust him. Whatever may happen he is in control and works everything for good. We can't live in constant fear about tomorrow if we want to enjoy today. *Keeping harmful things (knives/dishwasher detergent) locked up and out of reach of my little ones. *Locking the doors when we are at home. *Never leaving the little ones in the bathtub or kiddie pool alone. *Teaching my children our address and phone number in case of an emergency. *Making sure everyone is buckled up in the car. Having multiple children not only causes me to have more eyes in the back of my head but gives me more eyes through my children. When we are out and about I usually assign the two older boys to Ellie and Simeon, while I watch out for Luke. It not only teaches them responsibility but helps me keep everyone safe and accounted for. So many cleaning and body products contain chemicals and ingredients that are really harmful to our bodies. Unknowingly, we are often not only coming in contact with them but ingesting them as well. With so many little ones in my house who are prone to getting into everything I use only natural cleaning and body products as much as possible. I make my own multi purpose cleaner, lotion, sunscreen and mosquito repellant. I encourage you to rethink what products you are using in your home and replace them with natural and eco- friendly products. 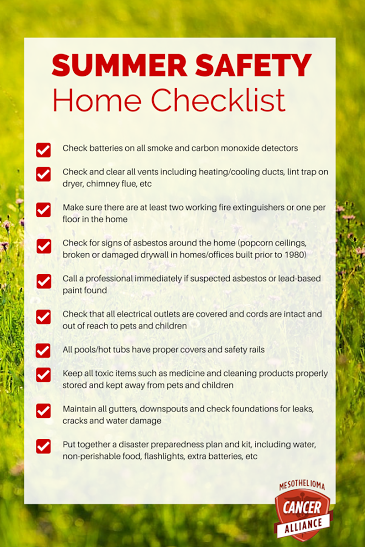 You can't always control what chemicals you are coming in contact with when you are out and about with your family but at least you can control what comes in your home. Living in Florida means that we are not only near water in the summer, but all year long. Water scares me the most because drowning can happen so quickly especially when there are a lot of people around. I put life jackets on all my kids that can't swim and never take my eyes off of them while they are in the water. Not only is water a big issue but the heat is just as dangerous. When we are out and about the older boys are in charge of bringing their own water bottles and I bring the little one's. I am so used to always having all the kids with me in the car that I never have to worry about leaving anyone behind because the big boys help me with the younger ones but when I only have one child with me I have to be careful. I read a helpful tip that has helped me not to forget when I have only one child with me. You put one of your shoes in the child's seat so when you get out of the car you immediately realize you are missing a shoe and go to find it. We have had some close calls over the years but thankfully we have only walked away with a little blood, and a lot of scrapes, bruises and tears. I hope this list helps you to be aware and take precautions against the dangers around you and your family but also reminds you to put your trust in the one who holds the whole world in his hands. Do you have any tips for keeping your family safe? Great tips! Summer is such a fun, whimsical and carefree time, that it's easy to "forget" about the hazards in and around our homes, trailers, and cottages. Thanks for sharing these insights and tips! Pinning to my Deliberate SUMMER board.